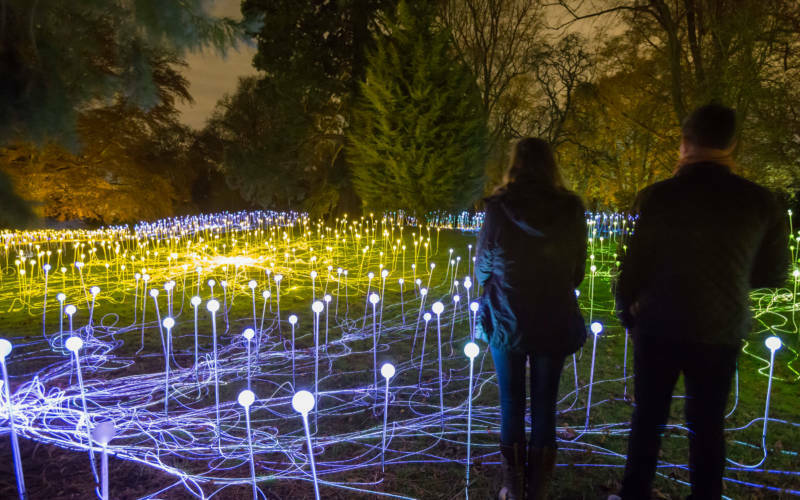 Once again, visitors can enjoy winter light at Waddesdon this Christmas. 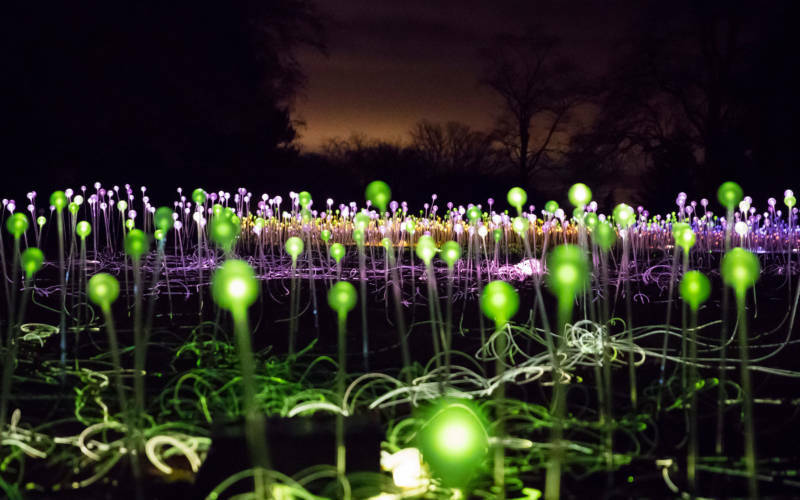 Internationally recognised artist Bruce Munro has returned by popular demand with his biggest Field of Light ever seen in the UK. 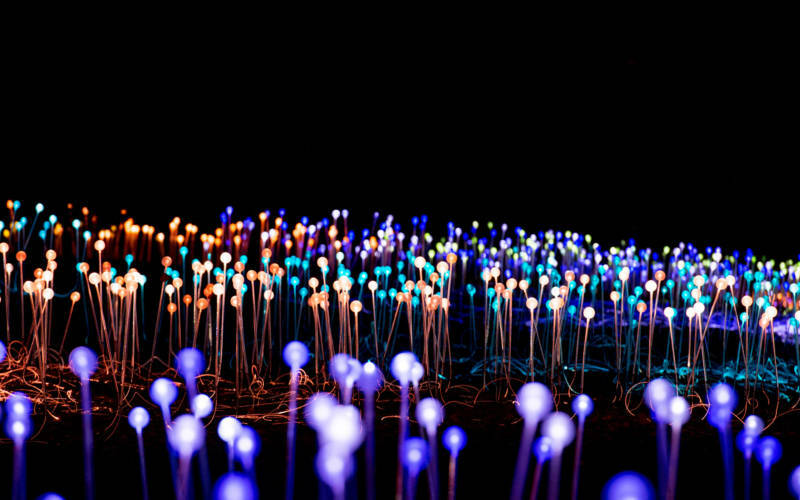 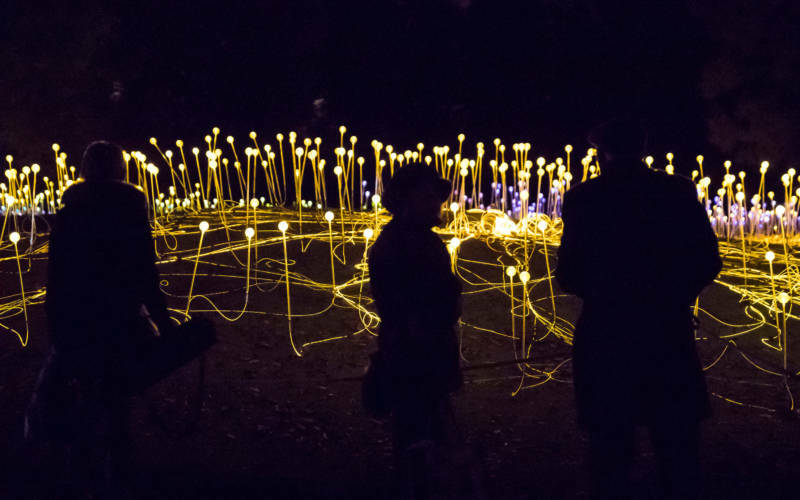 Field of Light returns in a new form and location, to celebrate 25 years since its conception. Munro and his team have ‘planted’ 9,000 slender stems crowned with radiant frosted-glass spheres to populate the Aviary Glade. 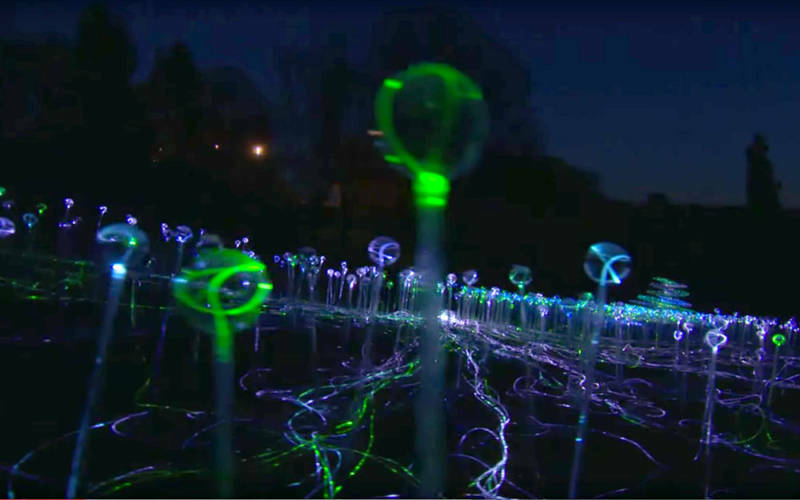 The spheres, connected via illuminated optical fibre, ‘bloom’ as darkness falls taking visitors on a sensory journey through the gardens. 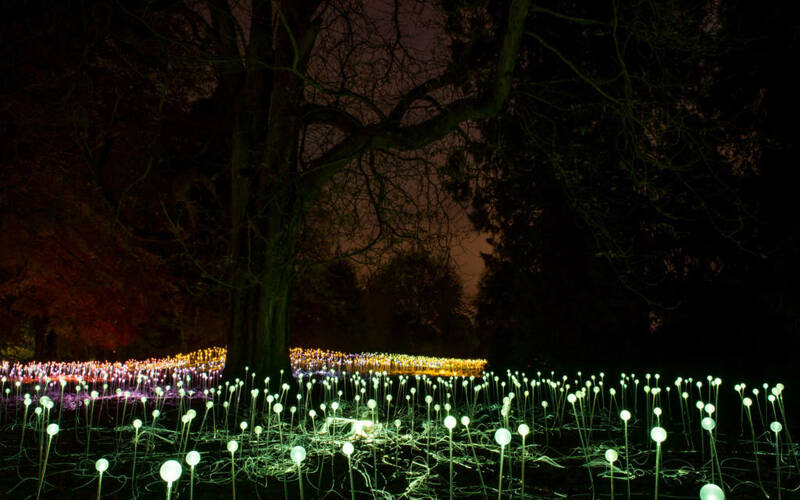 Bruce Munro is noted for immersive site-specific installations inspired by landscape that employ light to evoke an emotional response. 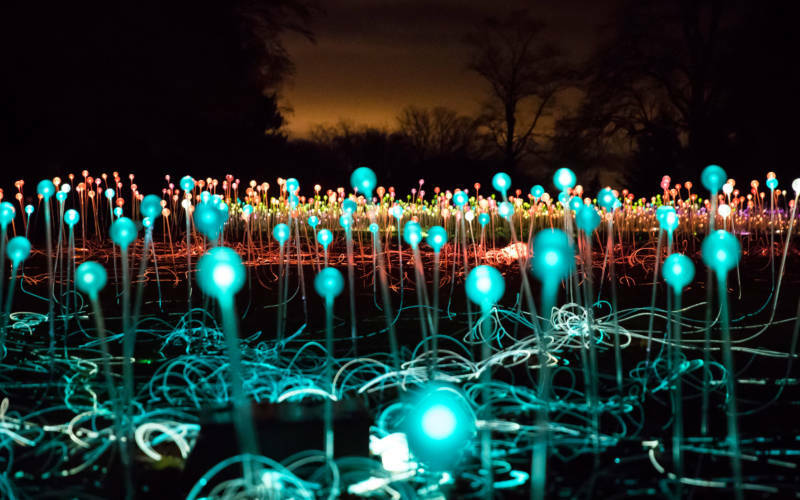 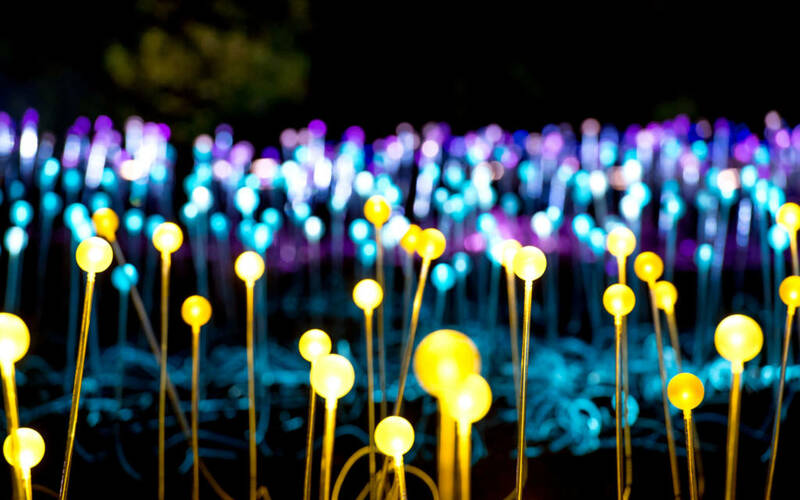 Get a glimpse of the magic and spectacle of Bruce Munro’s installation here at Waddesdon in 2013 and look forward to something even more brilliant this year.